Over the past several years, #12 Virginia Tech has been slowly but surely growing their program and flirting with making the leap onto the national scene. Recent graduate and Raleigh Flyers star Hunter Taylor, as well as Ambiguously Grey’s Antoine Davis, speak to the level of talent that Burn has featured in the last few years. This year, between a star in the making, a roster stacked with athletes, an influx of talent from Virginia’s surging high school scene, and a growing base of institutional knowledge, Burn may finally have all the right pieces in place to legitimately challenge the Atlantic Coast’s big dogs and shake up the College Men’s Division come May. Tech is headlined by sophomore Joe Freund, a former high school star who’s already amassed considerable elite experience. 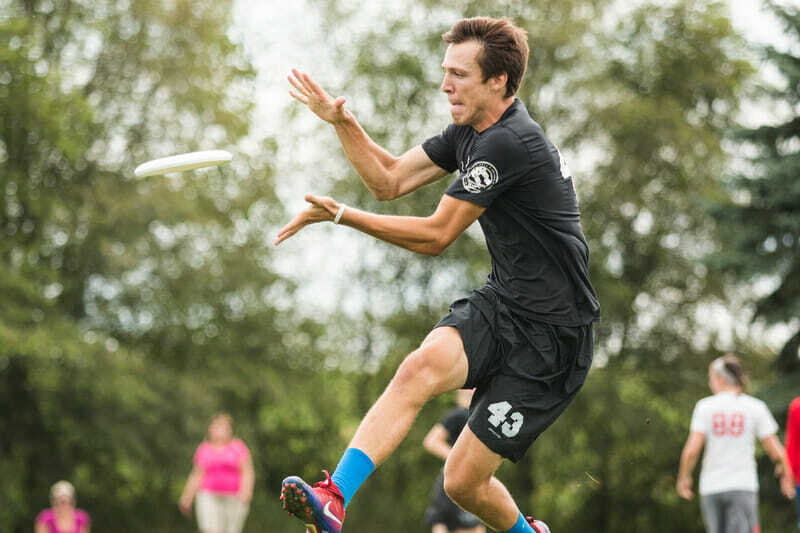 Freund won gold with Team USA at U19 Worlds this past summer, has competed with Washington DC Truck Stop, and won back-to-back U19 Mixed titles at YCC with Swing Vote. That resume gives him not just a wealth of on-field experience, but also the knowledge to help captains Joe Novak and Christian Gilbertson build a stronger system and culture with the boys in Blacksburg. Burn’s offense trusts those two to do a lot of the heavy lifting and, in no wind situations like at CCC, they flourish in the deep space. The good news for VT is that it’s not just Freund and Vincent capable of making big plays. On top of the aforementioned captains, Rhys Bergeron, Mike Vignali, and Ryan Rossum are all solid pieces rounding out the top end of the roster. Plus, with a student body of over 32,000 to draw from, Tech has never been short on athleticism. On the defensive end in particular, Burn’s team speed and intense effort make life difficult for opponents. In this clip from the CCC finals, UNC Wilmington initiates from the front of the stack and looks deep immediately. Freund and Vincent are stuck near the disc, so it is up to someone else to make a play. Alexander DeLuca makes up the ground and skies for the block on the floating huck. Though UNCW cutter Austin McGrayne’s upline backhand is slightly behind former UNC star J.D. Hastings, Tech’s Gilbertson reacts quickly, matches strides with Hastings, and uses his length to get the block. But Virginia Tech’s issue has never been athleticism and effort; it’s been translating that raw potential into wins. What’s going to help Tech in this department is its influx of young players with high school experience. With Virginia’s surging youth scene, Tech now has an improving pipeline of knowledgeable players coming into the program. Six players on this year’s roster came up playing together in Arlington, Virginia, including freshmen Adam Norrbom and Evan McLean, who both saw meaningful minutes in the semis and finals. Their influence is already starting to show. Here, junior Conner Fox breaks the mark inside to Norrbom; while both Norrbom and Vincent ultimately cut to the same space, ironing out those small miscommunications is what the fall is for. What’s important are the shapes, patterns, and composure that VT has started to develop into their offense. Virginia Tech consistently shines during early season tournaments but has historically failed to produce when it counts at Atlantic Coast Regionals. Since the regional redraw at the end of 2010, nine out of the AC’s 11 bids to Nationals have been claimed by UNC and UNCW, with the outliers going to Virginia in 2011 and Maryland in 2015. Things could shake up again this year, perhaps with a third bid coming to the region. With Vincent and Freund leading the way, keep your eyes on Virginia Tech this spring. Virginia Tech will compete at the Queen City Tune Up this weekend. Their matchup with Georgia on Saturday will be one of the most anticipated games of the day. It will be available for subscribers in our video package. Comments on "Virginia Tech On The Brink Of A Breakout Year"